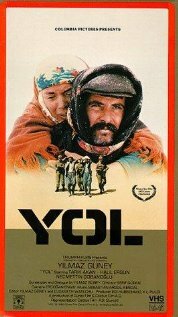 Labor Goes to the Movies, "Yol"
Imprisoned in 1974 with a sentence of 24 years, director Güney continued to write scripts, directed by others, while still in prison. In 1981 he escaped to Switzerland, where he edited Yol, which had been filmed by a collaborator while he was still in prison. Yol ( e Road) recounts the stories of five prisoners on leave as they travel to remote areas of Turkey. Each one returns to a world dominated by feudal tradition where family “honor” imposes obligations on the men, all revolving around the oppression of women who have “dishonored” the family. According to Güney, “a revolutionary movement which attaches no importance to the condition of women will never succeed.” A devastating but riveting portrait of Turkey under military rule after the 1980 coup d’état, the film won the Palme d’Or as Best Film at the Cannes Film Festival of 1982. Light food and drink provided. The speaker for Yol will be Professor Nebahat Avcioglu of the Hunter College Art department. She specialises in Islamic art and architecture with a particular emphasis on Ottoman/European cultural encounters. Her publications focus on imperialism, art and travel, the Enlightenment and exoticism, nineteenth century Orientalism in architecture, post-classical Istanbul and modern and contemporary mosques in Europe. Prof. Avcioglu received her BA in Architecture from Istanbul Technical University, and her PhD from the University of Cambridge, Department of History of Art.